Farmscan has further developed its LevelGuide land levelling software program to enhance its suitability for all earthmoving and agricultural contractors. Used for land levelling and contour generation, the LevelGuide software now comes with added simplicity and user-friendliness. 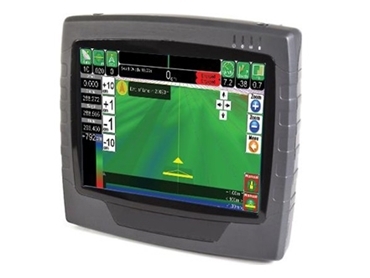 LevelGuide is integrated within the wider AgGuide mapping and guidance program that also offers auto-steer, implement guidance, variable rate control and spray control, including boom section switching. According to Farmscan Business Manager John Chalmers, land levelling is intensifying and expanding from the traditional cotton and cane production areas of the Riverina in New South Wales, Victoria and Western Australia’s North West, driven by efficiency and productivity requirements as well as environmental regulations. Given the increasing need to use and manage water more effectively and efficiently, users are looking for means to either control it or ensure they are maximising the value of every drop. There are also concerns about potentially contaminated run-off from agricultural lands. The LevelGuide software program would soon incorporate cross levelling control, allowing operators to tilt buckets during cut and fill. Supplier Steve Hanlon, Landform Survey and Design, said further development with LevelGuide to create curved surfaces was another major boost. Steve, who is an agricultural engineer and has been involved with land levelling and irrigation and dam design since the 1990s, explains that the ability to make a curved surface, especially in dryland situations will provide for better drainage. Getting the drainage right in irrigated as well as dryland conditions is a major challenge in precision agriculture, which he believes can be achieved with the LevelGuide. John added that the LevelGuide software is useful for farming and civil contractors on several levels right from importing designs into the program while constructing dams to generating designs for a block of land with simple planes, or even generating and importing full multi-plane cut-fill designs including on-screen colourisation and cross-section views. He said operators also could use their existing GPS units as long as they were satisfied with the vertical accuracy and reliability of their equipment. With LevelGuide, competitively priced GPS units are available and come optimised for the vertical accuracy requirements of land levelling.